The first step is to soak the grain. Most of the time, we use organic rye (available on our shop). Rinse the grain at least a couple of times, until the water is clear. 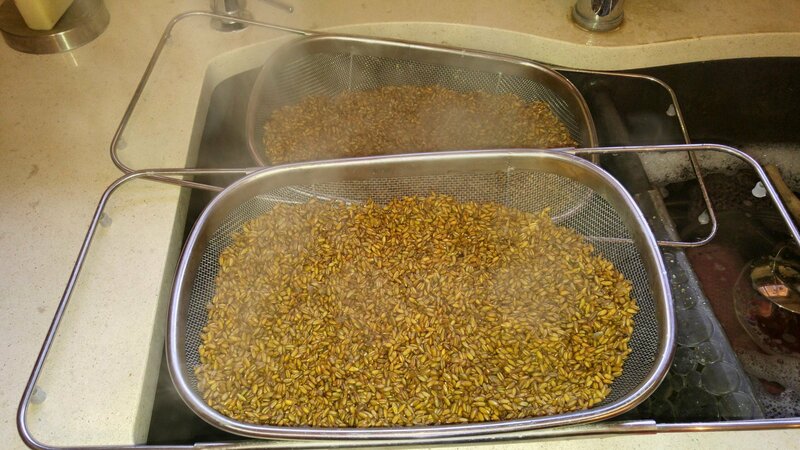 We soak the grain for ~4 hours. 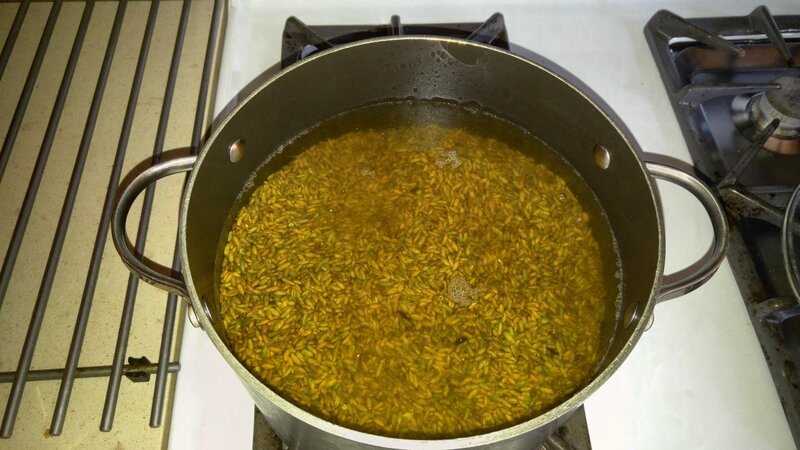 We know there is lots of conflicting information on soaking grain but this is the best method that works for us. We have very low contamination rates. 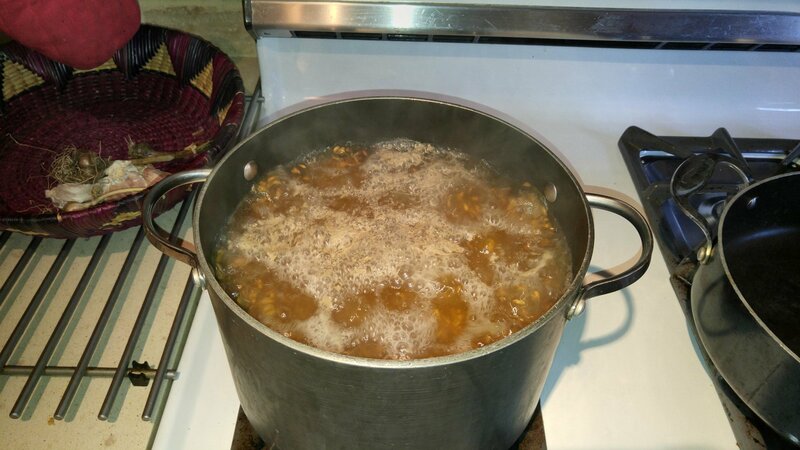 Next, we boil the grain. Just bring it to a boil, don’t let it boil! Right after the grain is brought to a boil, we drain it right away. The point of this is for the water on the outside of the grain to evaporate. We want the water inside the grain, not on the outside. We move the grain around a bit during this phase. The grain has to be cool before you put it into jars. So, this is our snack time! 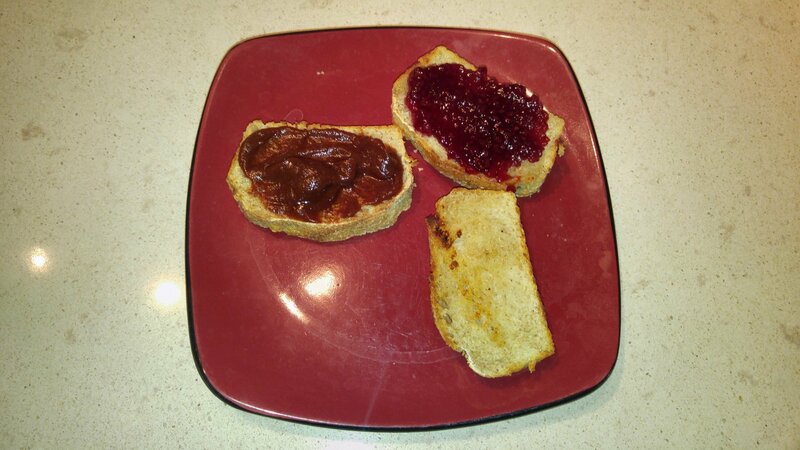 Here we have homemade bread, homemade apple butter and homemade raspberry jam. It doesn’t get any better! We use 500ml Bernardin jars (with out lids) and add ~1 cup of grain to each jar. We pressure cook grain at 15PSI for 75 minutes. 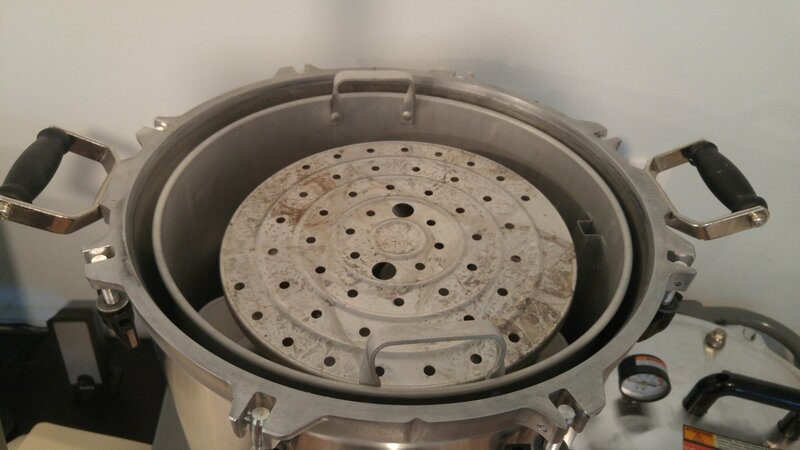 Remember to check the lids when the pressure cooking is done, sometimes they come loose a bit. You have to pay attention when using jars. It is easy for the grain to become over-colonized and then it’s very difficult to use with sawdust (or whatever medium you are moving to). Make sure you shake it a couple of times before using and pay attention to the colonization rate. 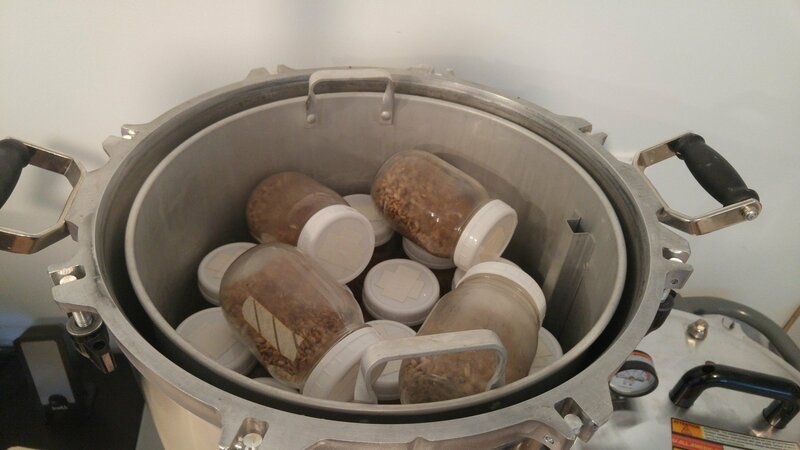 We use plastic bags when we sell grain – these jars are a good size for inoculating 2 or 3 sawdust bags but not big enough to sell (and too heavy/expensive).